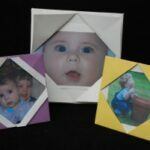 I LOVE paper craft, as you can do it whenever wherever with whatever piece of paper you have! Get the hang of it and you can entertain your kids on a bus, a plane or in the car. 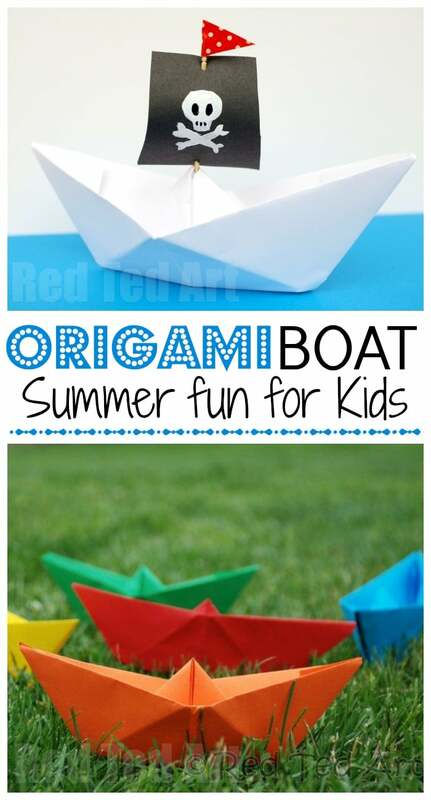 Making these easy origami paper boats is such a wonderful “childhood classic activity”. Make these paper boats out of any piece of paper any place at any time (I remember making these origami boats out of my bus ticket, whilst waiting to arrive at my destination)! Make them HUGE or make them small. Not only only are the paper boats a fun craft, but they are also a great introduction to origami and following instructions! 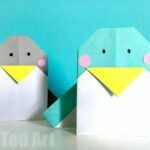 We love Easy Origami for Kids and this is a great one to get kids interested! 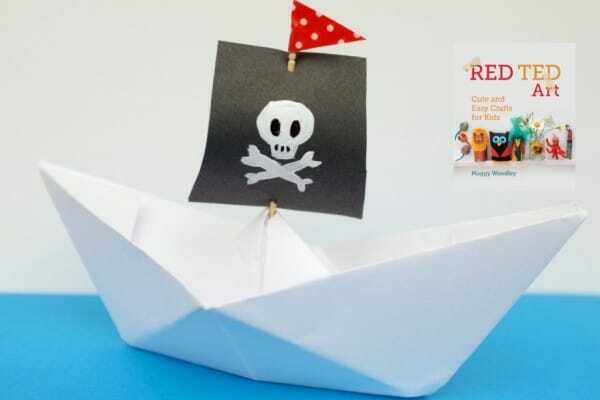 Note: this easy paper boat DIY was first published in April 2010 and we have updated it and republished it for your convenience. Enjoy! One Easy Boat Origami.. so many options! Yes that is right.. learn how to make the one boat.. and you can decorate and use it in so many different ways. Here we simply too colourful paper and created an army of RAINBOW Paper Boats. Next. We took plain white paper, and turned it into a pirate ship, with the quick addition of a Skull and Crossbones Toothpick Flag. Harr. Harr. Gotta love a Pirate Craft! The great thing is, that these Paper Boats, also float. Kids can colour it in and take it in the bath or play with it on a small river (it will dissolve, should it float away). I have also used it to make a cute Father’s Day card! 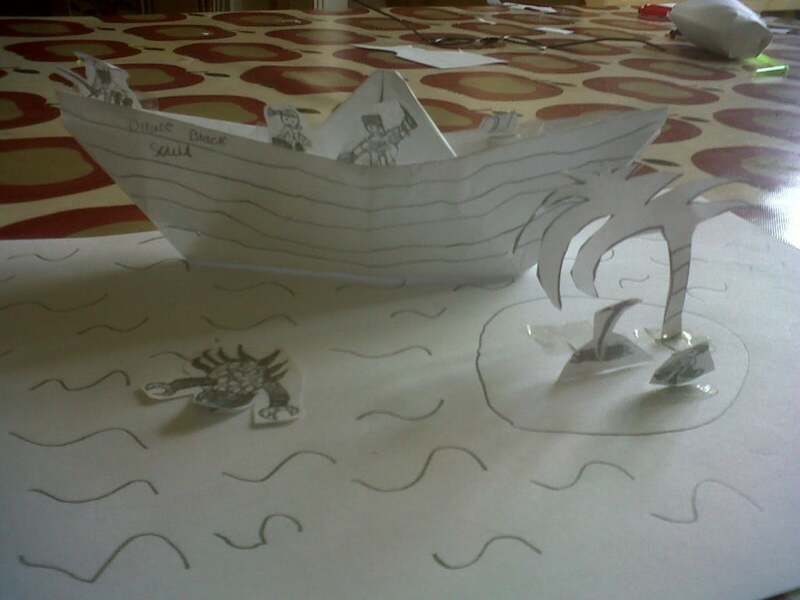 My neighbours boys (5yrs & 7yrs) saw my draft video and after that they couldn’t stop – we made about 20 paper boats over the weekend – including to two MASSIVE ones. The 7yrs REALLY impressed me with his Pirate Ship and Island. This is what “How to..” is all about – getting stuck in and having fun with crafts! So chuffed! Then it got better, they then went to a party… and ended up TEACHING their friends how to make boats. 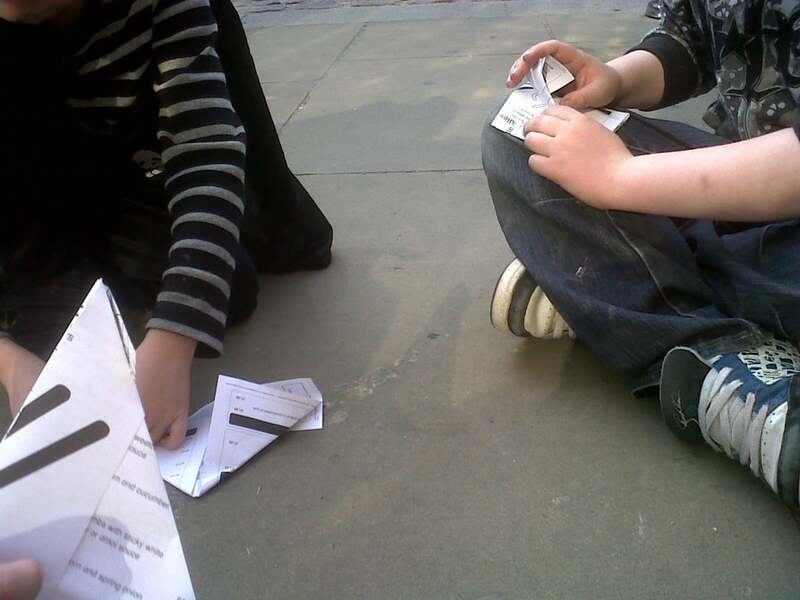 Here they are teaching each other to make their paper boats. **Bless**. 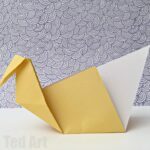 This is a little trickier than the paper cup craft from a couple of weeks ago, but once you know how to make one, you can make it anywhere out of any scarp paper (even a bus ticket!!). Keep your kids entertained on the go! Make one!!! 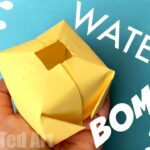 Though paper boats are super easy to learn how to make, it is great to watch this How to make a Paper Boat video. 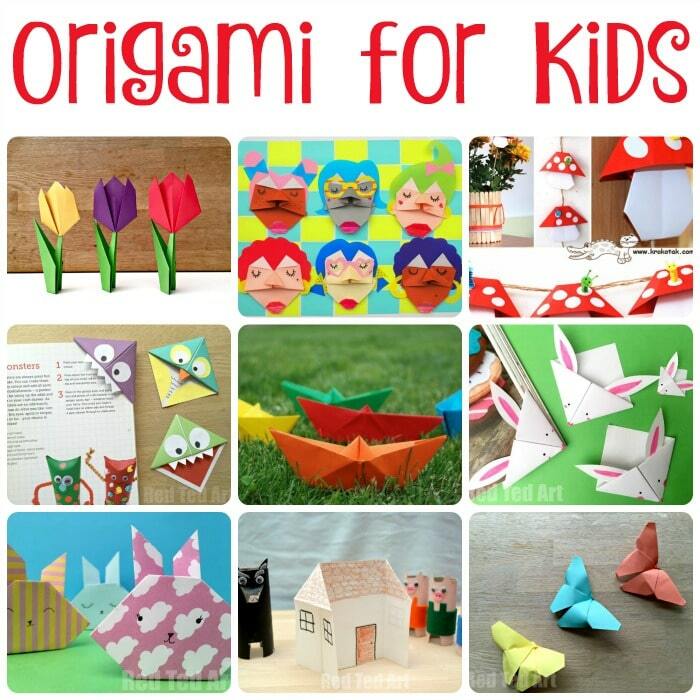 Seeing really is the quickest and easiest way to learn this wonderful Origami for Kids! 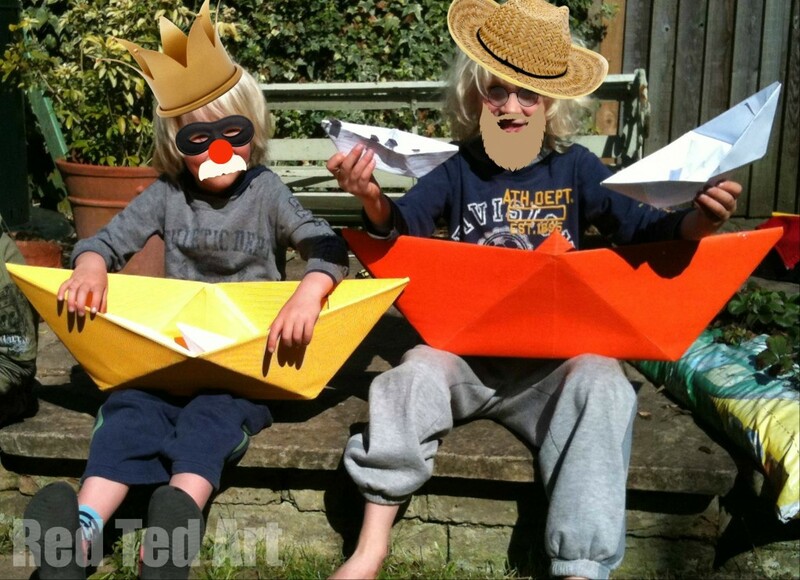 Do let me know how you get on with your paper boats and I would love to see some photos too! 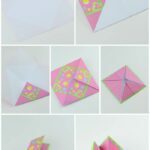 Same here – thought “everyone” knew how to make these… not the case, which is why it is so lovely to share.. 🙂 hope your minimads have as much fun as you did when you were little!!! I am glad you enjoy our blog! Thank you for the video! 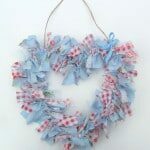 Used to make lots of these many years ago but when I tried to make one for my little son the other day, I did not remember how! Yesssss! Himmel und Hölle….I used to love playing that with my Mum! Oh my big boy loves making these for his little brother! We thought we might float them down the river and have a race! Gosh, what memories! Thank you – not had a ‘sail in a puddle’ for a while! Must change that! Hee hee! I haven’t made these since I was a child, I must teach the boys, thank you! 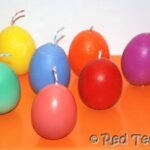 I must have had a deprived childhood – we never made these!! LOVE the giant ones, they look amazing. Paper boats appeal to young and old – I can’t wait to try a massive one! 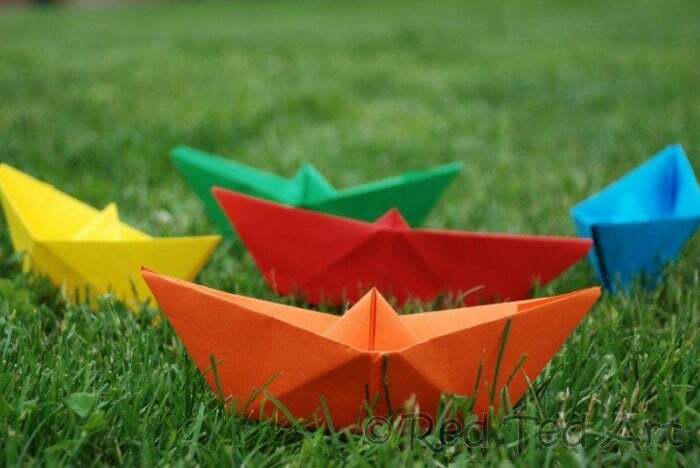 I’ve seen the paper boats before but I didn’t know how to make them. Thank you for sharing. This is a great take along activity. This has inspired us to make the massive ones, bet they’d look great floating along in the river! Everyone is gonna love these! It is the perfect project for boat children. Yes, that would be amazing, wouldn’t it!!! This is a great idea for make a paper boat. I really appreciate your act to educate people about science and technology Also Thanks for Sharing This Amazing Post.Thanks for taking the time to discuss that, I feel strongly about this and so really like getting to know more on this kind of field. Do you mind updating your blog post with additional insight? It should be really useful for all of us.